Based on the Realtek RTL8186 chipset, the DAP-1160 can be upgraded with any bespoke firmware based on the provided Software Development Kit (SDK)*. This allows programmers to make full use of the 4MB Flash memory and 16MB SDRAM to include advanced features of their choice. The DAP-1160 provides 64/128-bit WEP encryption and WPA/WPA2 security to protect your network and wireless data. In addition, it also provides MAC address filtering and the ''Disable SSID Broadcast'' function to prevent outsiders' access to your home or office network. In addition two Wireless Internet Service Provider (WISP) modes are supported**, which could allow several homes to wirelessly share a single link to the Internet without the need for extra routers: WISP Client Router and WISP Repeater, respectively linking to wired only or wired/wireless computers. With D-Link's Click'n Connect (DCC) Wizard, you can set up your wireless network in minutes. 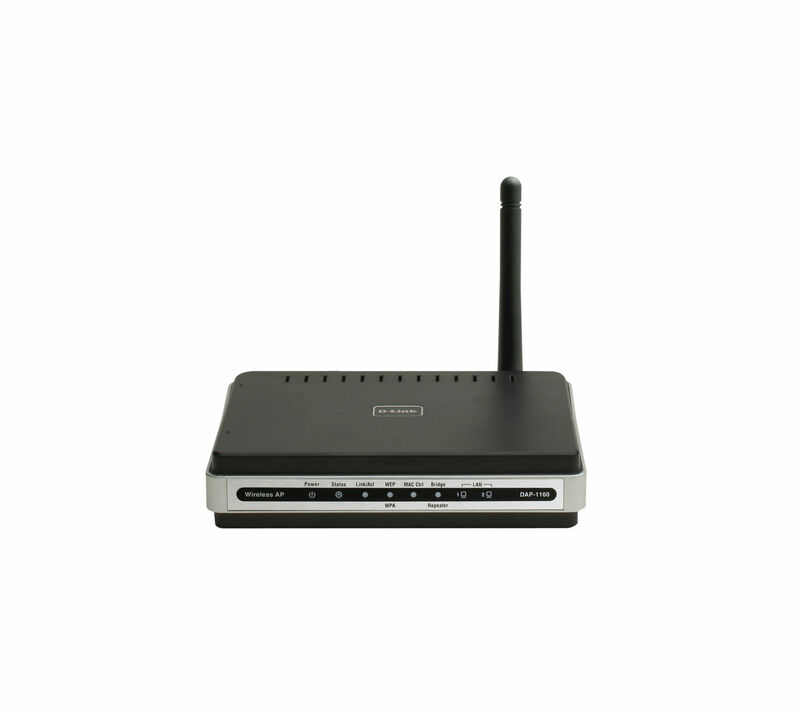 It configures your DAP-1160's operation mode, makes it easy to add new wireless devices onto the network and helps you create a simple wireless network for your home and office.